This statistic shows the results of a survey conducted in the United States in March 2017. 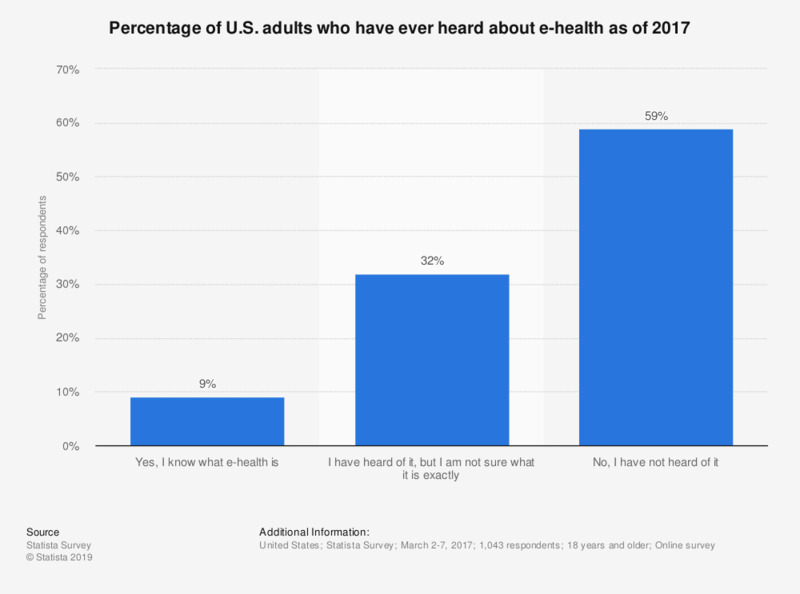 U.S. adults were asked if they had ever heard about e-health. Only nine percent of respondents had heard about e-health, while nearly 60 percent had no idea what it was. Which of these digital services offered by your health insurance provider would you like to use or do you already use regularly? To what extent, if at all, would you support insurance companies using health data collected in the NHS to further develop their health insurance prices?